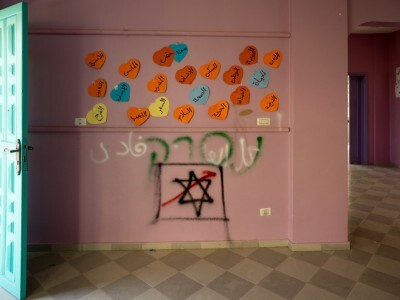 A Star of David spray painted at the Future House Association in Khuzaa, a community center for women and children. 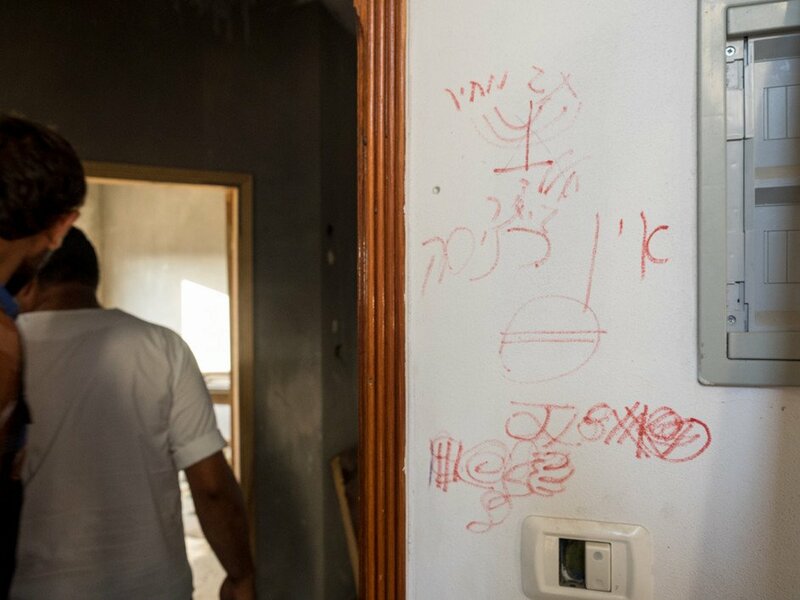 As well as killing more than 2,200 Palestinians and causing huge economic and environmental damage, the Israeli military left messages on the walls of Palestinian homes they occupied along Gaza’s boundary with Israel last summer. On 20 July, at the height of the 51-day assault, Israel launched a ground invasion into Gaza’s boundary areas that lasted fifteen days. A massive bombing campaign reduced to rubble wide swaths of the Shujaiya district of Gaza City. 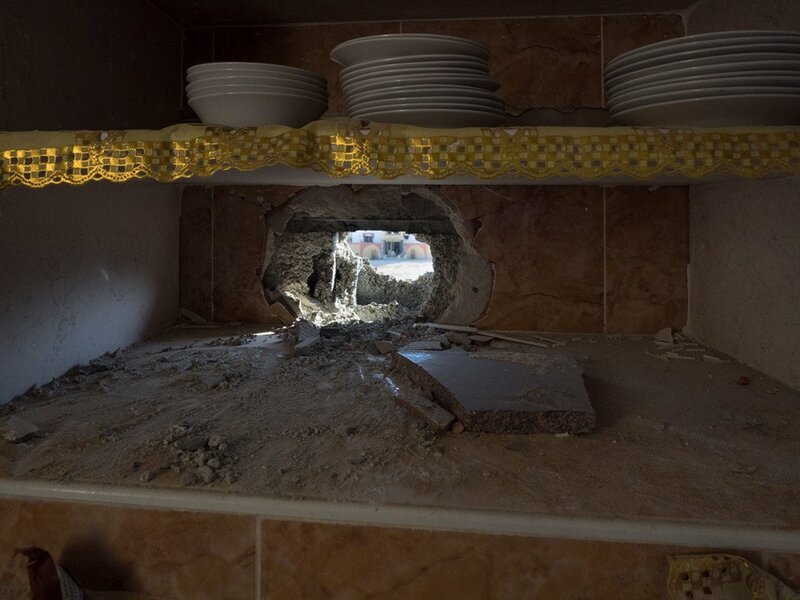 Israeli forces occupied Shujaiya homes, transforming bedrooms and kitchens into military outposts from which snipers carried out killings of Palestinian civilians. The slaying of Shujaiya resident Salem Shamaly, gunned down by an Israeli sniper while searching for his family, was caught on video. Several miles south of Shujaiya, Israeli forces besieged and invaded the village of Khuzaa near Khan Younis. Over a twelve-day period, Israeli forces bombed mosques and homes, wiping out families taking shelter inside, and executed villagers as they fled the attacks. Among numerous atrocities, Israeli soldiers brutally executed six resistance fighters in a home, slashing them with knives used for slaughtering chickens and firing on them with bullets and grenades, before setting the corpses ablaze. During subsequent ceasefires, thousands of Palestinians who had fled returned to their bombed-out neighborhoods. Amid the mass destruction, numerous homes that stood after the bombing campaign were littered with evidence of the presence of Israeli soldiers. Discarded food rations, used medical supplies, sandbags and hundreds of bullet casings of various calibers were scattered about. The following photographs were taken in August 2014. Hebrew-language translation by Dena Shunra. Dan Cohen is a journalist and Palestine-based correspondent for Mondoweiss. Follow him on Twitter: @dancohen3000. 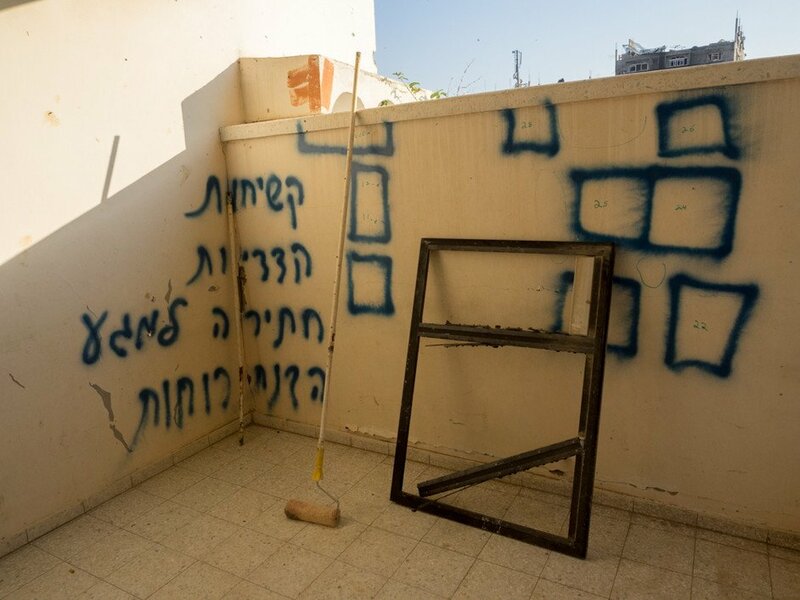 In Shujaiya, soldiers wrote “price tag” — a term used for terror attacks on Palestinians that come in response to perceived Israeli government concessions to Palestinians. Below that is a menorah, a symbol of the Jewish temple and sovereignty, and finally “Yalla Beitar” — a cheer for Beitar Jerusalem, an Israeli soccer team synonymous with racism and hooliganism. 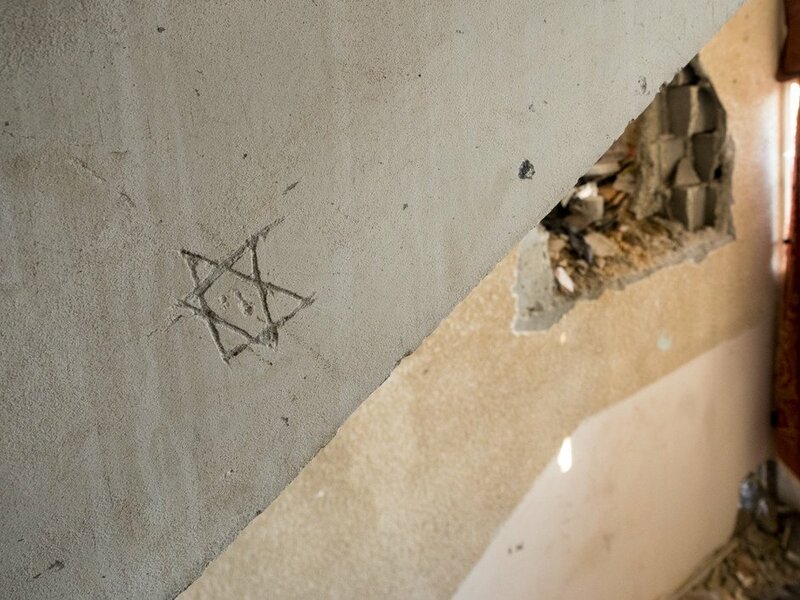 A Star of David etched into the staircase of a home in Shujaiya. 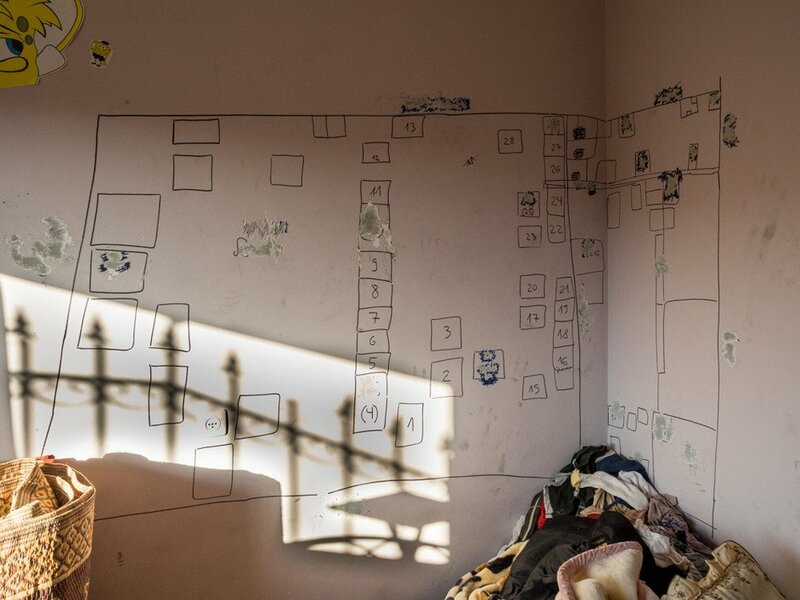 In a child’s bedroom in Shujaiya, a map depicts the homes in the immediate vicinity. Many of the numbered homes were destroyed. 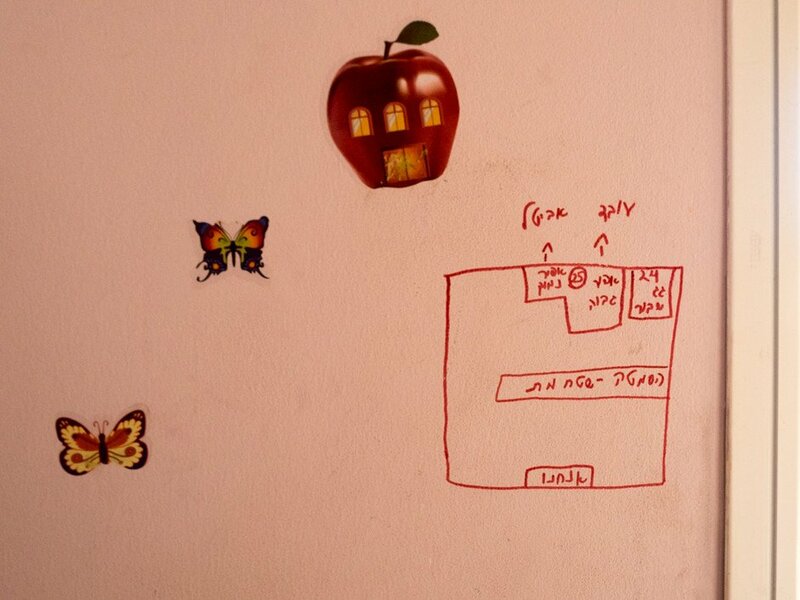 In a child’s bedroom in Shujaiya, a map of a level of a floor in the same house. 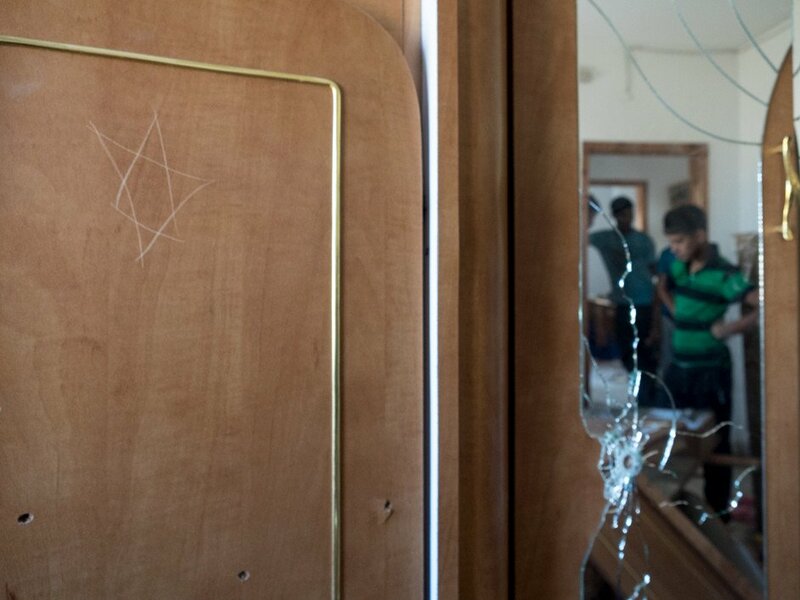 A Star of David carved into a closet door is visible as young Palestinians inspect damage to their home in Shujaiya. 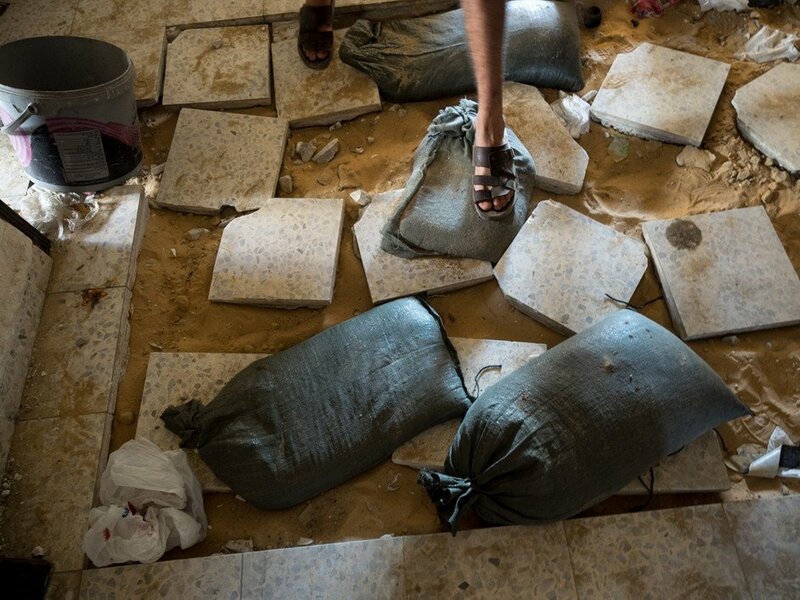 A destroyed floor in a Shujaiya house where invading Israeli forces tore the floor open searching for tunnels.